The Festival committee are excited to bring The Nukes to Brisbane for SPRUKE 2015. The Nukes are far more than a ukulele band. They are high entertainment. Part vaudeville, part rat-pack, part musical car crash. This talented trio deliver an engaging mix of humour and originality that audiences love. The innocent little uke is the instrument of choice and audiences will be staggered by what they are able achieve with it. Great song writing, musicianship and 3-part harmony combine to create a truly memorable experience. 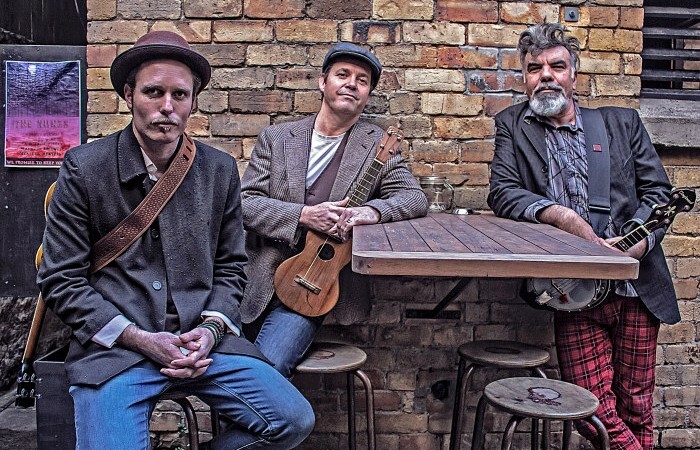 The Nukes have within a few years of being together toured in NZ and Australia and performed at many of NZ’s finest festivals from Bluff’s Oyster festival to WOMAD and the Auckland Folk Festival…to name a few. Releasing two fine albums of their unique, original music along the way: 2012’s ‘Each to their own’ and last year’s ‘Lucky Ones’ which features the song ‘Last Kauri’ – which has racked up an impressive 20,000 + views on Youtube. This September and October the band heads across the ditch to once again perform Festivals and concerts in Australia. As Snapper says “we just love Australian audiences, we share that ANZAC spirit and feel right at home there, they even seem to get our humour!’ The Nukes perform at two Australian ukulele festivals, here at SPRUKE and the ‘Central Coast Ukulele festival’ in Gosford. They will also perform at the Sydney Fringe and a number of concerts from Ballarat to Brisbane. Megan Peacock-Coyle. Oamaru Opera House. Drew James. Taranaki Arts Festival. More exciting announcement on performers coming!